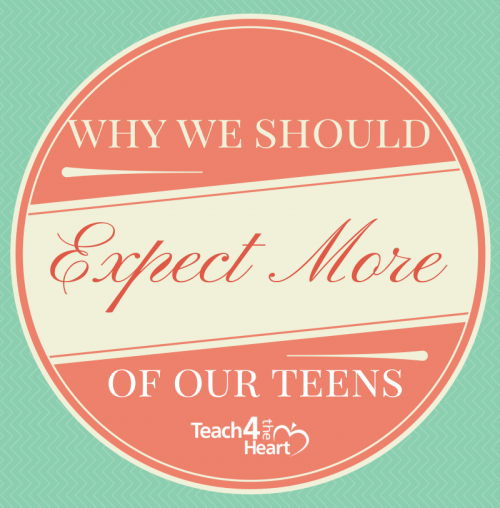 Why do we expect so little of our teens? We expect that they will be somewhat lazy, that they will get into trouble, and that they probably won’t get serious about the things of God until they are older. We figure that they aren’t really ready for a lot of responsibility. They’re just kids after all, right? And this trend is just getting worse. These days even young adults aren’t expected to be responsible or to contribute to society. You’re twenty-five? Oh, so you probably are still living with your parents rent-free, casually deciding on a career, and wasting the best years of your life finding yourself, right? We don’t expect people to really settle down, get married, and/or get serious about their life until – when? 30? Is it 35 now? Teenagers are capable of a lot more than we think they are. But that’s just the problem, isn’t it? If we don’t think they’re capable of much, then they’re probably not going to prove us wrong, are they? James Armistead was 15 when the Declaration of Independence was signed and 21 when he served as a double agent for the Continental Army. Benjamin Rush graduated from college at 14. John Trumbull (artist of the famous painting The Declaration of Independence) had read through the Bible by the age of 4, was skilled in Greek by the age of 5, and entered Yale at the age of 7. At age 14, William Livingston was a missionary to the Indians. James Iredell was only 17 when he was placed in charge of North Carolina’s finances. Andrew Jackson was a POW as a 14-year-old. The story of John Marrant is incredible! After hearing the preaching of George Whitefield, he was disowned by his parents and found himself living in the woods. Captured by Indians and about to be killed, he preached the gospel in perfect Cherokee. The Indians accepted Christ and made him a prince of their tribe. Oh, and all this happened when he was 13. At the age of 8, John Quincy Adams was performing drills with the Minutemen. And at the age of 11, he was serving as a diplomat to Paris. By 14, he was standing before the Queen of Russia. A freed slave, Phyllis Wheatley had her poetry published at the age of 12. Maria Mitchell, who observed the stars, helped her father determine the exact moment of an eclipse at the age of 12. Oh, and she was running her own school by 17. All the Pony Express riders were under 18. And if that doesn’t sound that impressive, realize they were carrying mail across barren wasteland while being attacked by Indians. One rider, Broncho Charlie, was only 11. Louisa May Alcott wrote poetry at the age of 9 and owned her own school at the age of 16. John Clem became the youngest non-commissioned officer in US history at the age of 12 when he was promoted to sergeant for heroic service during the Civil War. The attitude of their culture was different. They were expected to contribute. There was nothing different in the water that made these teens particularly responsible and courageous. But the attitude of their culture was different. They were expected to contribute. They were given responsibility – and they fulfilled it incredibly. 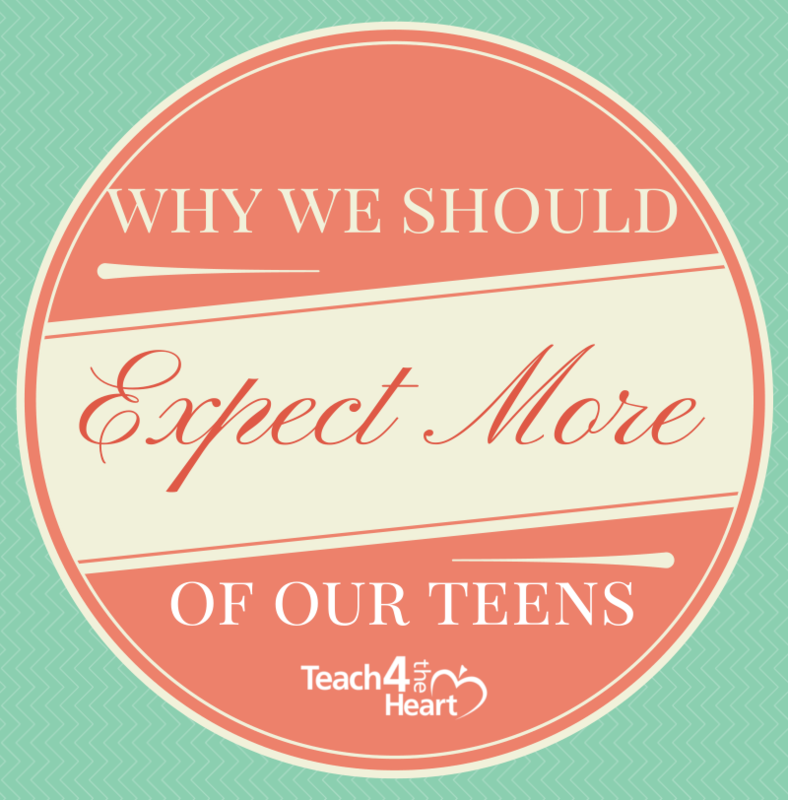 What would happen if we started expecting more of our teens? What if we presented these young people as examples and started inspiring today’s teens about what they can do – not when they’re 30 but right now? What if we started giving them more responsibility in our homes, our churches, and our schools? I think we’d be quite impressed with the quality of work that some of our teens would produce. I think we’d be thrilled to see what they truly are capable of when given an opportunity and someone who believes in them. When we assume kids are going to make a mess of things, why would they do anything different? Our expectations tend to form our reality. When we assume kids are going to make a mess of things, why would they do anything different? But if we expect more, tell them we expect more, and show them how to do more, we might just be amazed by the results. I recall one of my 8th-grade students who was basically in charge of running the sound board for school productions. This was no simple tasks – arranging microphones, checking batteries, and training other students to help. But he did a fantastic job. He wrote an essay once about how people are so surprised that he has this responsibility as a junior-higher, and he argued that most people just don’t expect enough of young people. But What About the State of Today’s Youth? Now I know that in general the state of today’s youth is abysmal. And while I could argue that maybe that’s our fault for expecting so little of them, that’s really not the point. The point is that we have the opportunity to teach the young people in our lives to be different – to be responsible and productive. To be leaders. To be exceptional. Think about your own home, your own school, your own church. Are there particular teens that you can help mentor? Is there someone that you can start gradually giving responsibility and teaching them how to handle it? This country desperately needs leaders – and I don’t just mean political leaders. We need strong leaders who will stand for what’s right in business, medicine, education, and the pulpits of America’s churches. We need charity organizers, business owners, and stay-at-home moms who are ready to make a difference in their sphere of influence. And, yes, we need people of character and integrity to influence the public sphere of politics. We need our young people to be incredible. Simply put, we need our young people to be incredible. We need them to make a difference in our families, neighborhoods, and country. We need them to be strong leaders of faith who will stand for what’s right and not be afraid. And that doesn’t just happen overnight. The more they do now, the more they will grow. The more responsibility they can shoulder now, the more they will be able to shoulder later. And it all starts by changing our expectations. Have you fallen into the trap of believing that young people just aren’t capable of much? Or have you seen an example in your own life of just how capable teens can be? Share your thoughts and experience with a comment below. Special thanks to Tim Barton of Wallbuilders for sharing information about capable teens in American history. This is SO great, and you are SO right. Thank you! Awesome! sounds like you’ve got some great ideas! I agree with much of what you say but the answers aren’t as simple as looking back in the past. We don’t live in the same world as pre-Civil War teens you talk about, and there is no way we can expect any child to have some of the same experiences that you cite, especially in battles and war. We need stronger expectations, but they have to be 21st century ones. Further, I would argue that since we are all living to our 80s and 90s now there is absolutely no reason why a young adult cannot live at home during this period of what sociologists now call “transitional adulthood.” In most other countries of the world young adults live with their family until they marry. Again, even in the US it’s not the same world in 2015 as it was even 20-30 years ago for young people just out of college. A college degree doesn’t mean you are 100% set to go it alone and conquer the world anymore, especially if you have mega-student debts. I think wasting the best years of your life would be settling into a 9-5 career at age 22 and regretting that you did not stop to smell the roses and then discovering what you really want to do when you are in your 30s, 40s, or 50s. This is not to excuse the young people of today. They have an easier and better life than any generation in history. They don’t do enough and we can expect more of them. But these are complex questions; let’s not oversimplify them by relying on 20th century models of career and work and teen role model examples from the 1800s that no young adult could ever hope to understand or relate to. This is so dumb, it’s not teens fault, and also none of your examples are credible because it was a completely different time with different circumstances. Just because we aren’t given the opportunity to run things doesn’t mean we can’t.